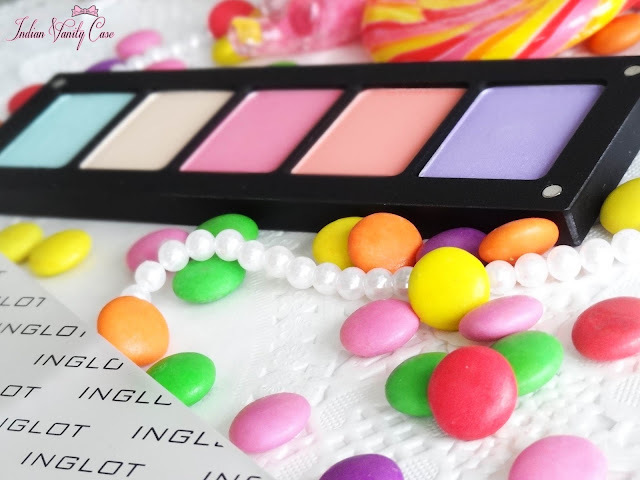 Say Hello to my Candy-Colored INGLOT Eyeshadow Palette in some of the hottest colors of the season! There's nothing I love more than making my own Inglot eyeshadow palette. This time I decide on a 5 square palette, which feels like a wider/heavier ruler. You can easily knock someone unconscious with it, I think. All the colors are so pretty & girly, I could look at it all day! Really, I still don't get why people need shrinks. Okay, I guess they are not make-up addicts. *We could use 361 & 362 as blushers, don't you think? 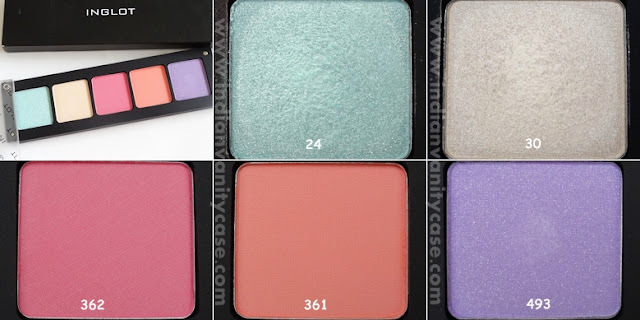 Eyeshadow refills ~ Rs.300 each, so Rs.1500 altogether. Available at: I got this palette from majorbrands.in. It is the only online store in India that sells all Inglot cosmetics- Face, Eyes, Lips, Accessories. This must be awesome news to all you ladies who don't have Inglot in your city! Shipping - Rs.50 for orders below INR 1000 & COD (cash on delivery) is available. Packaging - My stuff came in a big white polythene bag, and all items were thickly bubble-wrapped. I personally prefer a box, but maybe they use boxes for other orders. How do you like my Candy palette? Any colors you adore? Disclosure: I was provided a voucher of Rs.2000 to shop at majorbrands.in. I customized the palette myself. 361 would make such a pretty blush!! All the color are pretty and the pics are awesome..
very very pretty color pallete! Wow I loooove the shades you've chosen in this palette, so nice! was plannin 2 get d 361 & 362..nw m def gonna get t..
Really great shades!! Love inglott eyeshadows!! Gorgeous colours Cynthia! I need to rush to Inglot. Now! Lovely palette and cute shades! the colors are definitely super yummy looking! I want that peachy one. So yummy! And yes Im your new follower now...YOu have a beautiful blog. I just checked the site .. ur content is still there.. Honestly, i'd buy this just for the Inglot 361.